1. 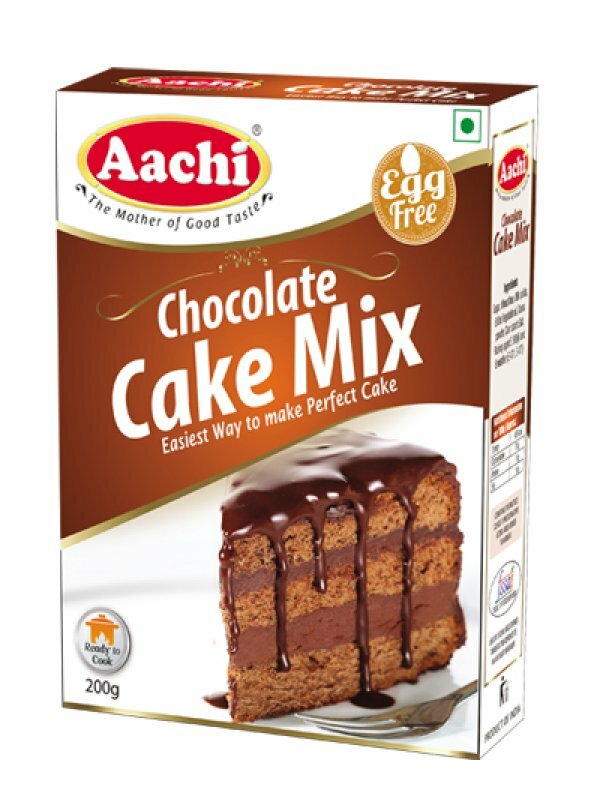 Stir 200g of Aachi Chocolate Cake Mix with 150ml of hot milk with a spoon in a bowl for 2 minutes. Grease bottom and the sides of a 5 inch round pan/vessel with oil. Fill the mix into the greased pan/vessel in such a way to have space for cake rising. 2. Place a stand in the pressure cooker / idli cooker (3 litre or above). Pour water into cooker up to 1 inch high. Place pan or vessel with batter on the stand. Close the cooker with lid. Do not put whistle. Steam for 30 minutes on a medium flame. Open lid and allow steam to escape. Heat without lid for another 5 minutes. 3. Cake is baked when knife inserted in the cake comes out clean. Remove pan or vessel with the help of tongs. Allow the cake to cool. Cut and serve.